The Friends is the parent teacher association of Ysgol Crug Glas and a registered charity. not normally provided for by the local authority. In doing so it seeks to bring together on a voluntary basis all of those with an interest in the school. 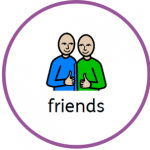 The Friends Committee is made up of parents, members of staff and friends of the school. It meets regularly during the school year both to organise fund-raising activities and to make decisions about how funding should be spent. The Friends currently provide funding for ‘social treats’, 18th Birthday presents, Christmas presents and the end of year prom. The Friends run regular coffee mornings in the Parents’ Room at school. They are friendly and informal and all are very welcome to join in. Please come along to the Friends meetings and coffee mornings. Your support and suggestions will be very well-received!